In a bid to keep things healthy I tend to pack some form of fruit when we go out. I’ve found that some things are easier to eat on the go that others, so I tend to stick to the following; strawberries, blueberries, bananas and raisins. They are all relatively easy to carry and don’t tend to cause too much mess, aside from the strawberry juice which stains everything! 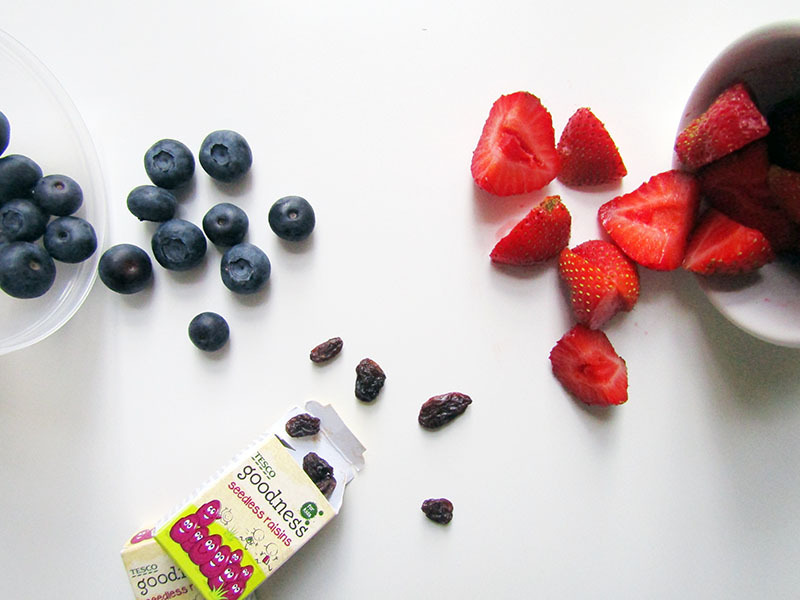 We are also big fans of the Bear pure fruit yoyos; they are 100% fruit, mess free and count as one of your five a day. Simple! Another simple and relatively mess free option is a bar of some form. The soft oaty bars by Organix are brilliant; they taste amazing (especially the carrot cake ones! ), there are loads of flavours to choose from and they’re 100% organic. 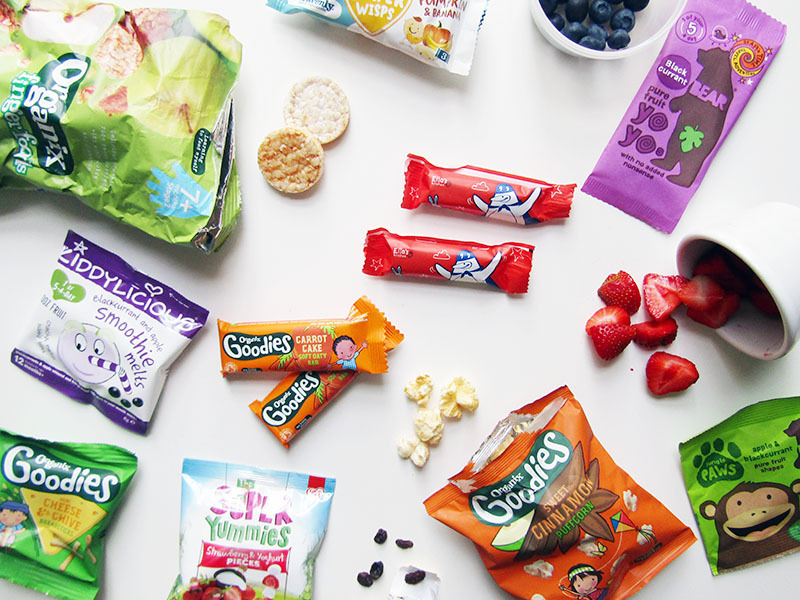 Continuing on the organic theme we also love the Ella's Kitchen oaty fingers and the Heavenly Tasty Organics yummy waffer wisps. I think it's really important to feed children organic food as much as you can, reducing the amount of chemicals they ingest and ensuring they get the most nutrients possible. Zach absolutely loves to have a bag full of snacks, probably because they are messier than everything else! His favourites include the smoothie melts by Kiddylicious - I feel like we've been a bit late to the game with these as I've only been buying them for him recently, but they have been a big hit! On the savoury side of things he also loves the cheese & chive breadsticks by Organix. We were sent these to try along with the cinnamon puffcorn and both were a big hit. The puffcorn is perfect for snacking on whilst watching a film too as it is a healthier option than the popcorn we usually buy. I’m also going to include rice cakes in this section, which are a staple in our snack repertoire. 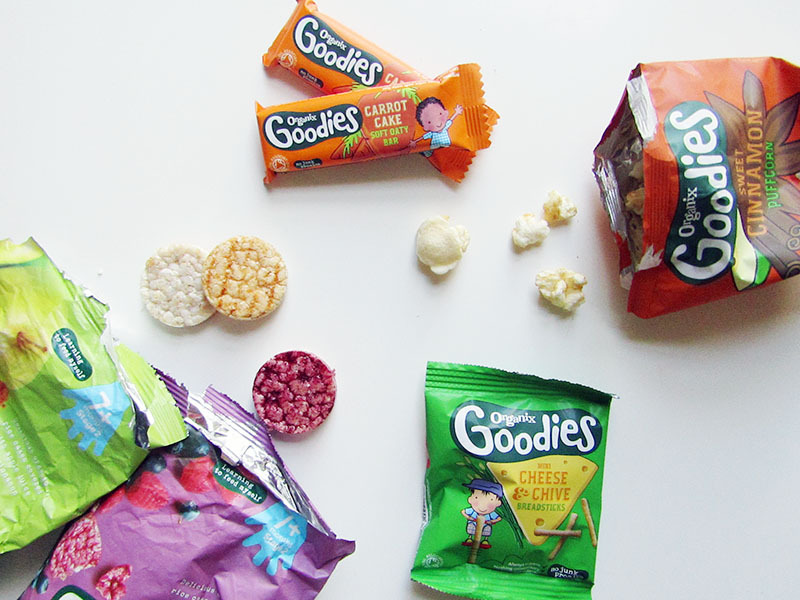 There are so many different flavours available across brands and they are great for younger children too. 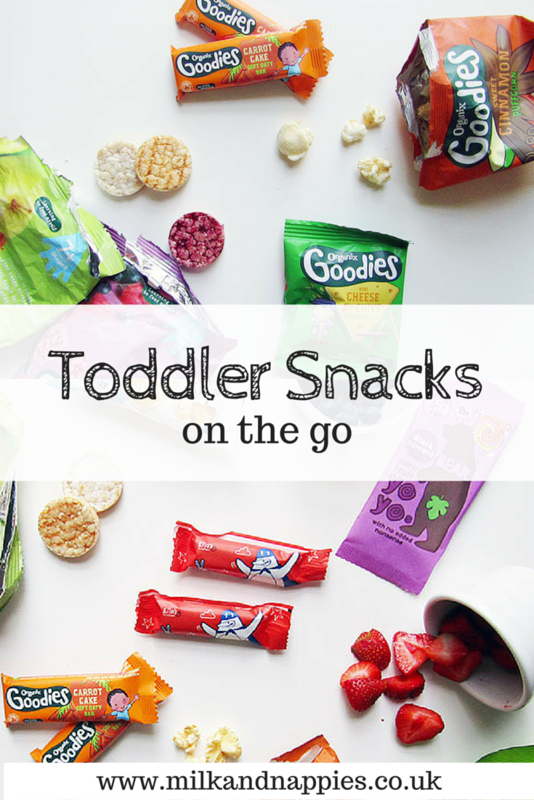 What snacks do you give your little one when you are out an about? We are not out and about very often but when we are it's normally apple, bananas, crackers, breadsticks, waffles and raisins. I might try something new and buy the ones you listed.